After reviewing the work I still had to do to the Raiden kit, I decided to start a Revell Mirage III/V kit as an insurance build to make sure I get something done! (Of course, I started this before I found out the completion date was extended, but no matter, I will be on vacation the last 2 weeks of March so the extension doesn't help much). 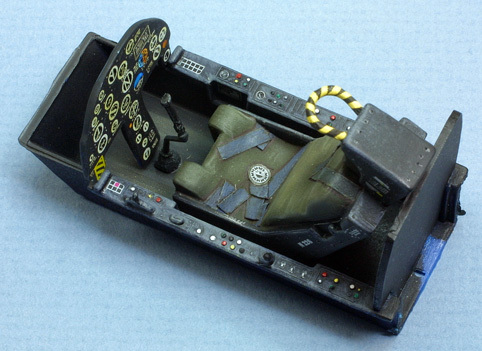 This build will be OOB per IPMS rules, which basically say the only thing you can add are tape seat belts and aftermarket decals. I will try and improve on the kit parts when I can. I had hoped to post the first pics last night, but my dialup internet connection went south on me (15 tries, connected for no more that 15 secs on any try). So hopefully tonight or this weekend for sure will get some pics up. 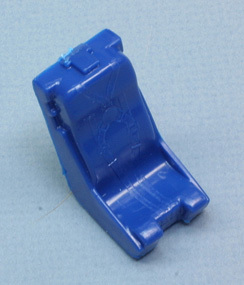 Here is the original seat...eeewwwww!!! 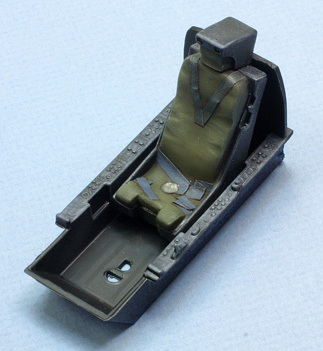 Here is the re-done seat with tape seat belts and some added creases plus paint, and some dry brushing with light grey. 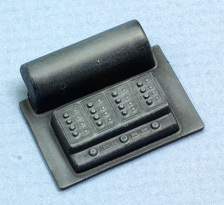 Here is the electronics rack for behind the seat with the same dark grey/dry brush routine. 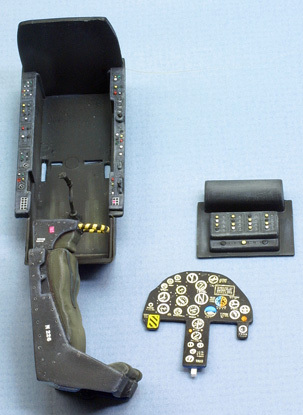 Now, after decaling and some detail painting, here is all the cockpit components ready to go into the fuselage. 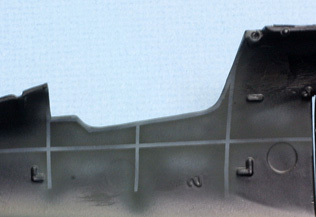 The fuselage has no detail. So I sprayed it a light grey, taped some false structure members, and painted over with a darker grey. 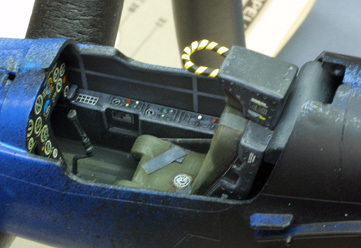 Finally, here is the cockpit put together, and together inside the fuselage.